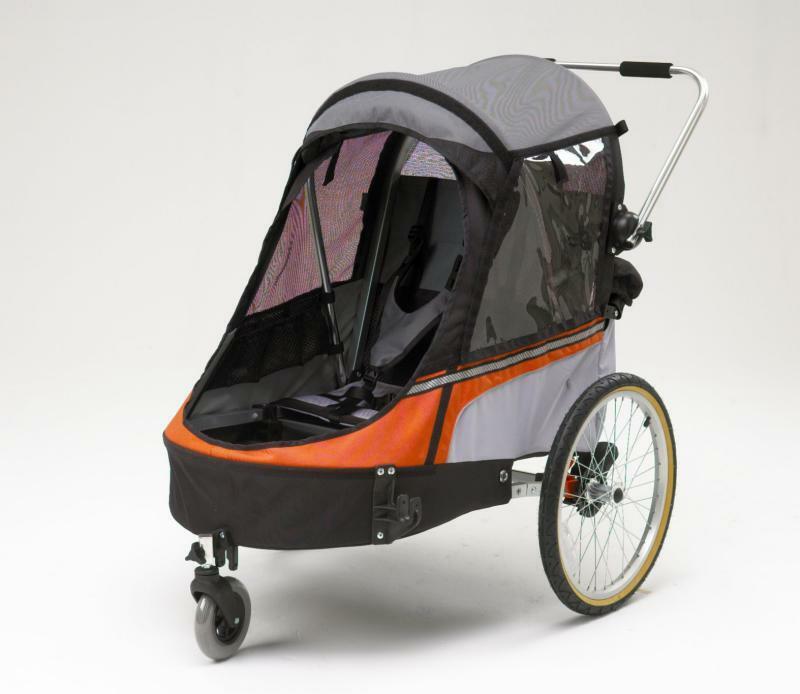 The Wike Softie Suspension Child Bicycle Trailer is our premium product. Designed to be smooth, stable, and durable, the Softie is also of great value compared to other large trailers with suspension and roll up windows that cost as much as $1000! 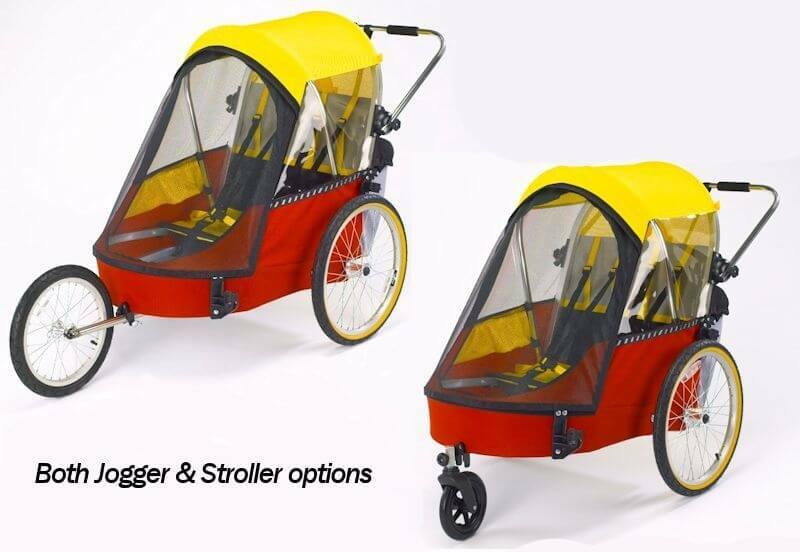 With plenty of room for two children and their toys, cycling as a family has never been easier. 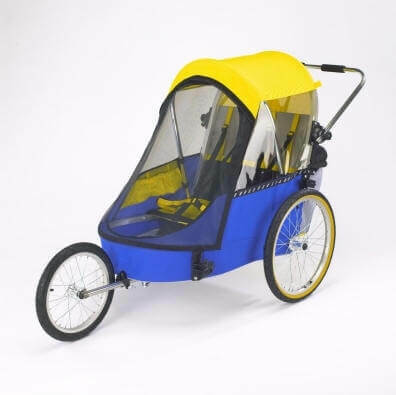 Two bike hitches are included with the trailer. The Wike Softie is built to our exacting standards in our Canadian factory and you can only purchase it through our secure online store. The fabrics used in the Softie are made by American Dupont Cordura, ensuring lasting strength and color. 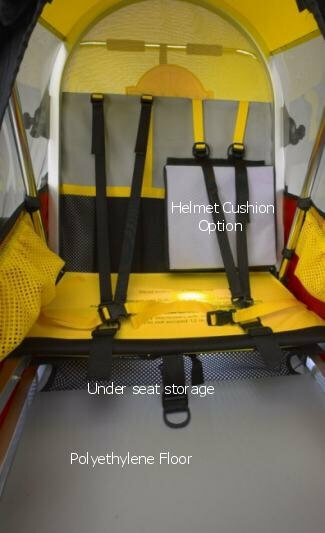 It also has a hard plastic floor for great durability and safety. We select only the best components possible for our trailers. We use an elastomer suspension on the Softie because it limits the amount of recoil action. 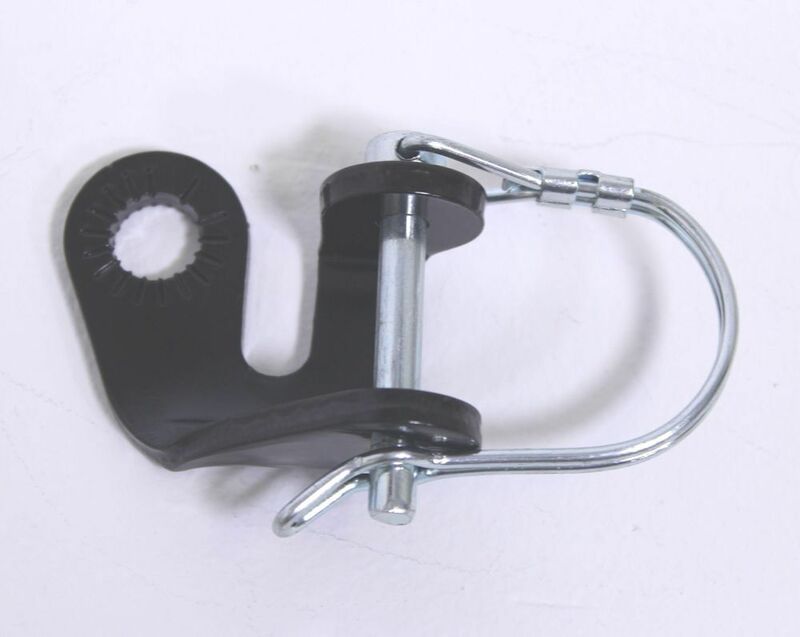 With metal springs, trailers have the tendency to recoil and bounce up and down over rough terrain. Conversely, with our dampened elastomer, the trailer’s return bounce is eliminated and the probability of the trailer flipping over is reduced. A smooth, safe and comfortable ride is the result. If you have any questions about our suspension and its benefits over springs, don’t hesitate to contact us. The "Wike Folding System" is patented and enables our trailers to fold flat instantly AND become shorter at the same time. This patented mechanism, shown in the animation above, will fold the Wike Softie in two seconds, however the removal of the wheels and placing them conveniently inside will take an additional five seconds. Our trailers are larger than our competitors, yet fold smaller. A Wike will fit in the trunk of a sub-compact car. The "Roll-up Side Windows" provide additional ventilation on the Wike Softie. The occupants can be surrounded with mesh screening to optimize the air flow through the cabin. If it starts to rain, just roll out the clear plastic on the side and front.